What I never expected has happened. 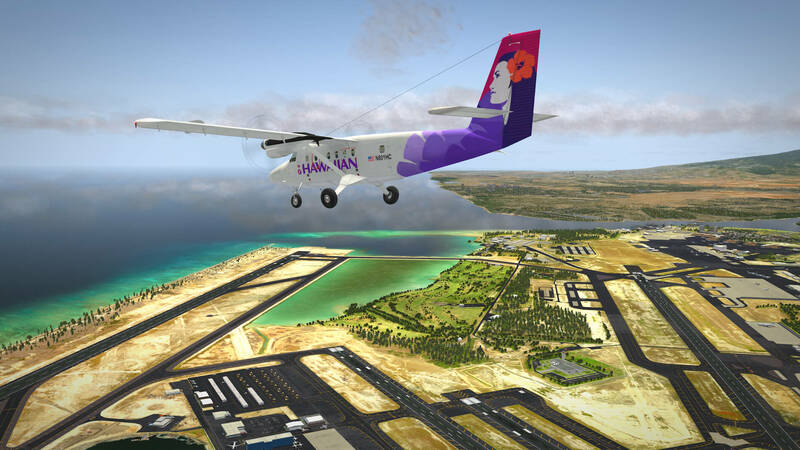 The initial Hawaii flight adventure, including some thorough checks at PHOG, has led to a review/impression of more then 7,000 words. That’s resulted in a decision to split this comprehensive flight adventure in part I and part II. 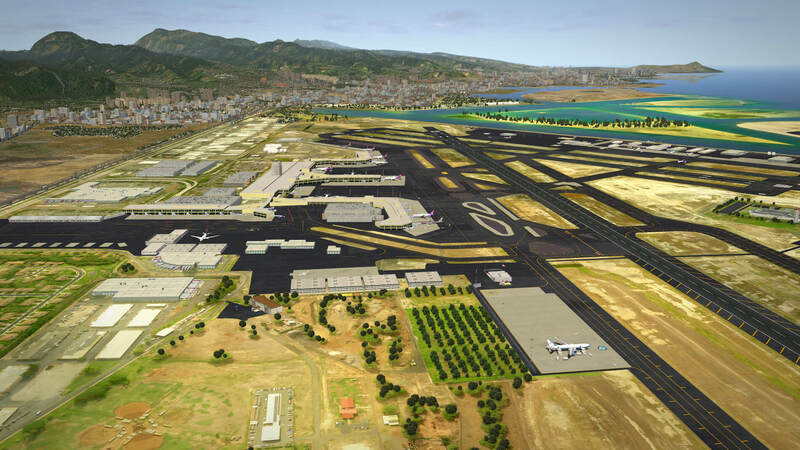 Although the used NAPS airports in this review are flown with X-Plane 10, all airports mentioned in this impressions are in the mean time compatible with X-Plane 11. This will be a very different kind of review. In addition to the comprehensive review, I’m going to provide a flight adventure. 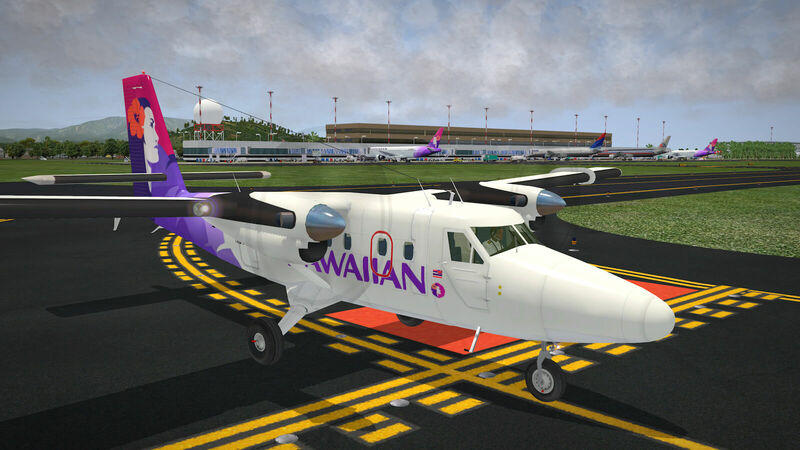 Not just your ordinary, everyday flight adventure, but a Hawaiian flight adventure! This impression has everything to do with island hopping. 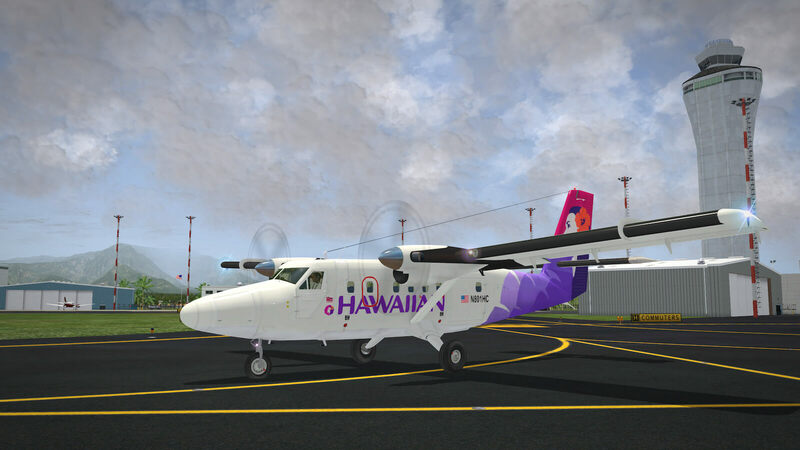 These island stretches will be flown with the freeware DHC6-300 Series from AeroPedro with an exclusive Hawaiian Airlines livery, made by X-Plane.Org user AFNavarro and with the NML file (Normal Mapping) exclusively from Leen de Jager, also known as Flybike. 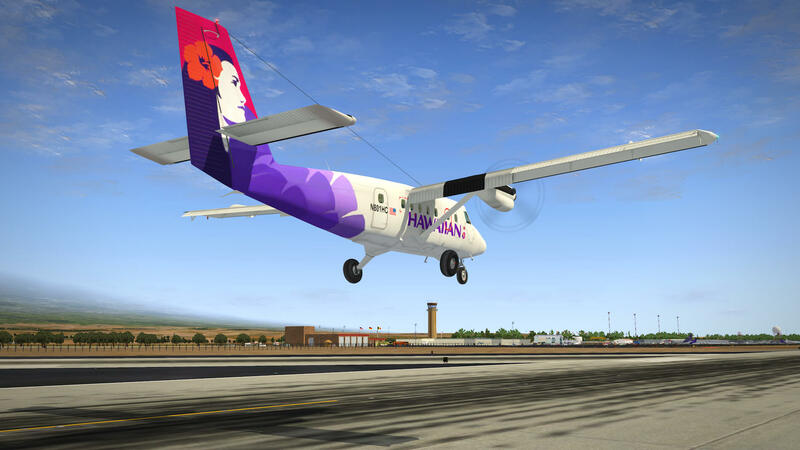 In real life, Hawaiian Airlines inter-island subsidiary airline ‘Ohana by Hawaiian, operates between the Hawaiian Islands chain, although serviced by an ATR 42. For this Hawaiian island hopping Adventure, I rented the “de Havilland” Twin-Otter DHC6-300 LN (Long Nose) and used the following NAPS/Fred-E.Net Hawaiian airports – PHNL (Honolulu International Airport), PHOG (Kahului International Airport), PHHN (Hana Airport) and PHTO (Hilo International Airport). 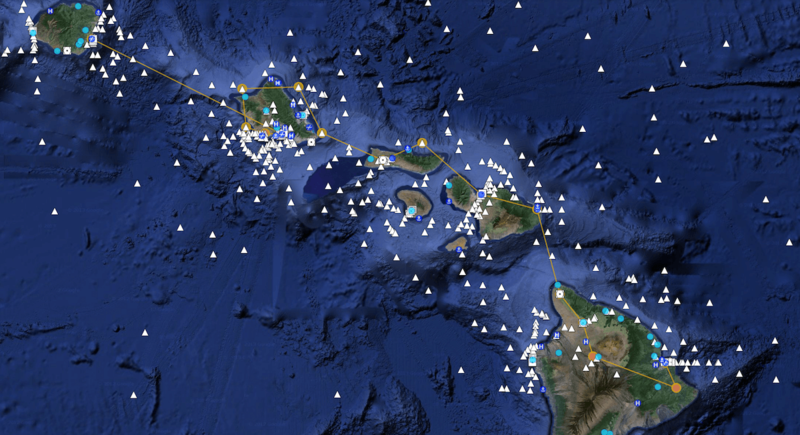 Although the NAPS team offers more Hawaiian airports, these four are the most recent ones and they cover almost all of the islands, ranging from north to south. If you want to see more NAPS/Fred-E.Net Hawaiian airports, then you should check this NAPS Freddy De Pues link and check the page for “USA Hawaii”. By the way, if you’re not familiar with NAPS, which I can hardly believe, the name actually means “North Atlantic and Pacific Sceneries”. 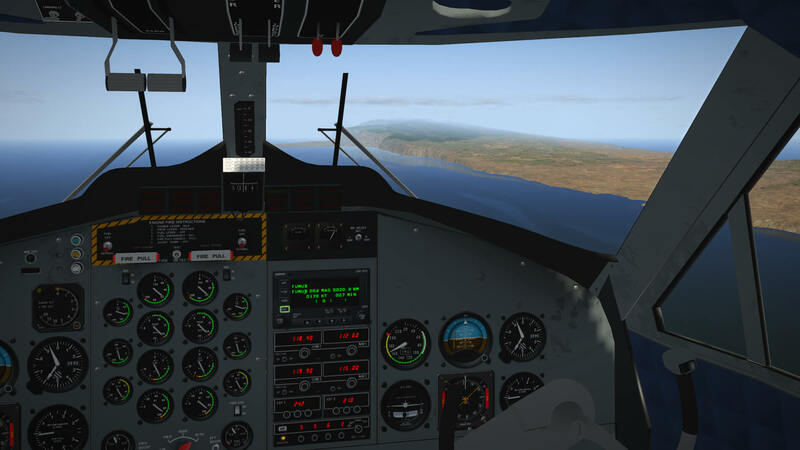 The NAPS team is responsible for many high end, quality freeware airports and donations are highly appreciated. 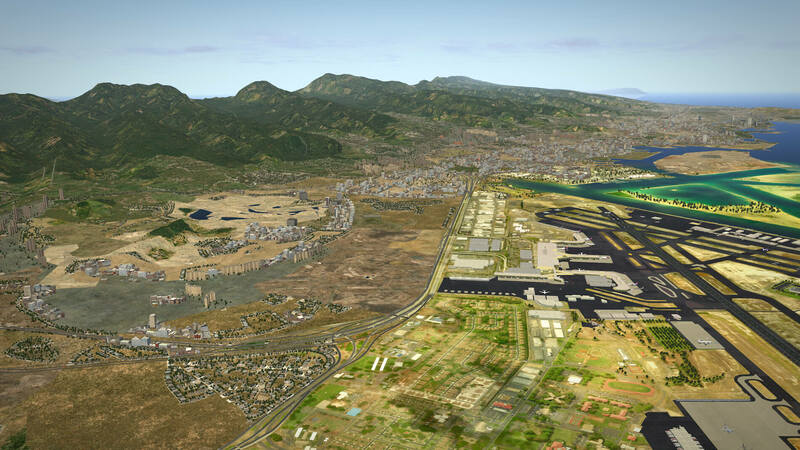 Something else to mention is that the flight adventure uses alpilotx.net Andras Fabian’s HD Mesh Scenery v2. 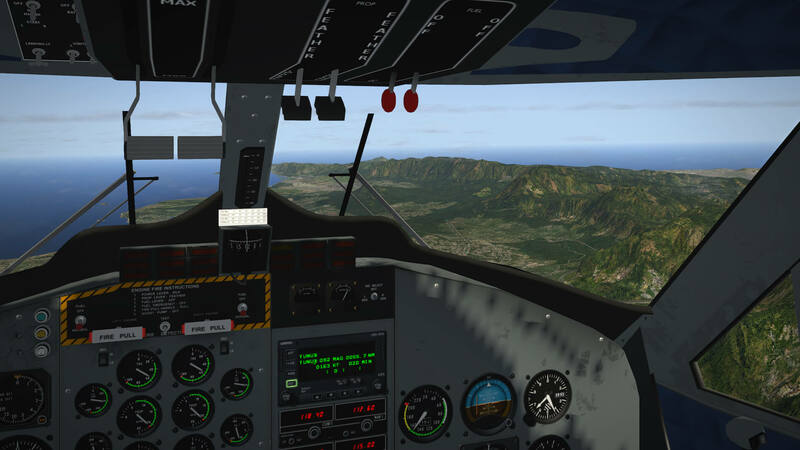 I used that to complete the planned Hawaii flight adventure with, as much as possible, a realistic view of the islands. Anyway, enjoy this Hawaiian flight adventure! Where and what is Hawaii? I know. That sounds like a strange question, but if you’ve never been there or you live on the other side of the globe, it’s understandable that you might not be familiar with Hawaii. So, let’s highlight where and what Hawaii is. Hawaii is the most recent addition to the United States (it joined the country as the 50th state on August 21, 1959) and it’s the only U.S. state made up entirely of islands. It’s the northernmost island group in Polynesia, occupying most of an archipelago in the central Pacific Ocean. Hawaii’s diverse natural scenery, warm tropical climate, abundance of public beaches, oceanic surroundings and active volcanoes, make it a popular destination for tourists, (wind) surfers, biologists, and volcanologists alike. Due to its mid-Pacific location, Hawaii has many North American and Asian influences which add to its own vibrant native culture. Hawaii has over a million permanent residents along with many visitors and U.S. military personnel. Its capital city is Honolulu, which is located on the island of Oahu. The state encompasses nearly the entire volcanic Hawaiian Island chain, which is comprised of hundreds of islands spread over 1,500 miles (2.400 km). 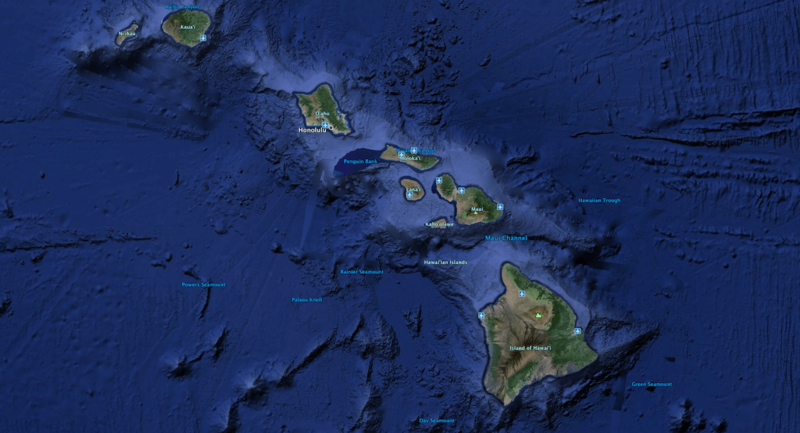 At the southeastern end of the archipelago, the eight “main islands” are (from the northwest to southeast) Nihau, Kauai, Oahu, Molokai, Lanai, Kahoolawe, Maui and the “big island” of Hawaii. The archipelago is physiographically and ethnologically part of the Polynesian sub-region of Oceania. It’s an archipelago situated some 2,000 miles (3.200 km) southwest of the North American mainland, Hawaii is the southernmost state of the United States (not Florida, as many think) and the second westernmost state after Alaska. Hawaii, along with Alaska, does not border any other U.S. state. Hawaii’s tallest mountain, Mauna Kea, rises 13,796 feet (4.205 meters) but is taller than Mount Everest if followed to the base of the mountain, which, lying at the floor of the Pacific Ocean, rises to about 33,500 feet (10.200 meters). Hawaii’s climate is typical for the tropics, although temperatures and humidity tend to be a bit less extreme due to near-constant trade winds from the east. Summer highs are usually in the upper 80s°F, (around 31C) during the day and mid 70s, (around 24 C) at night. Winter daytime temperatures are usually in the low to mid 80s, (around 28 C). Not usually associated with the tropics, in some winter months snow falls at 13,796 feet (4.205 meters) on Mauna Kea and Mauna Loa (one of five volcanoes on the Big Island). Snow rarely falls on Haleakala. Mount Waialeale, on Kauai, has the second highest average annual rainfall on Earth, about 460 inches (11.684 mm). Most of Hawaii has only two seasons: the dry season from May to October and the wet season from October to April. The upper screen shot is courtesy of ‪bhiraishi.wordpress.com. The lower screen shot is from ‪www.boalingua.ch. Want to know more about Hawaii? Much more can be found at the dedicated WikipediA web page, but there’s more than only WikipediA. You can have a look at the official Hawaiian Island’s tourism website or you can check the official Hawaiian government site. It sounds so simple, but which freeware software is needed to make this flight adventure a success? 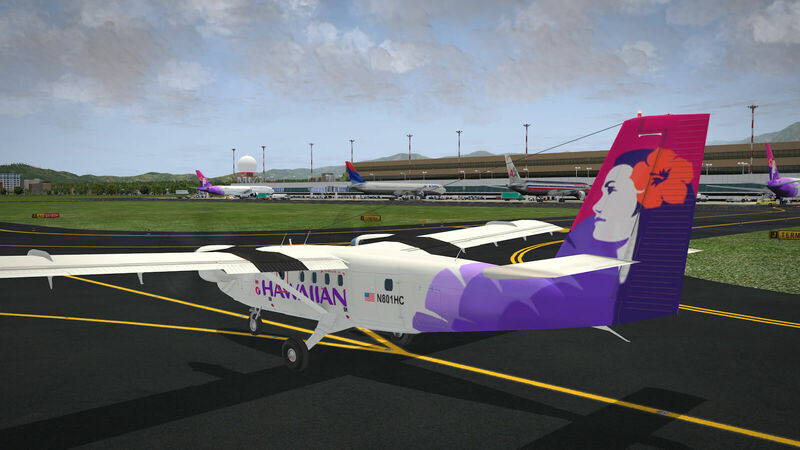 The first screen shot below is the Fred-E.Net download site for all your Hawaiian airports and the second screen shot is that of ISDG (International Scenery Development Group). 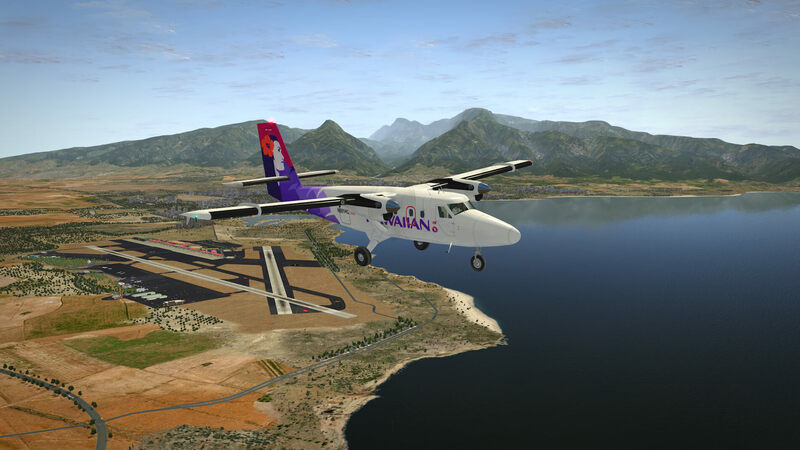 The links to all these freeware add-on airports and additional programs can be found below. select “Gritty Detail Textures” in rendering options. A modern video card with a minimum of 512Mb VRAM is required and you’ll want to run this scenery at “very high” or “extreme” texture resolution. Objects, forests, road networks and airports, should be set to extreme. Finally, X-Plane 64-bit with a 2 Gb VRAM video card is recommended for the highest texture resolutions if you’re able to do that. Don’t think “oh, I don’t have all of those items”! You can still see many nice things, even with lower rendering option settings. Despite the fact that the Flight Adventure story is split into part I and part II, the basic plan stays the same. That plan is to cover four recently released NAPS/Fred-E.Net Hawaii airports namely PHNL, PHOG, PHHN and PHTO. The flight adventure starts from the northern island Kauai. This is actually not the starting point of my flight adventure, but I wanted to add the Honolulu approach to my flight adventure, so, I had to start somewhere. 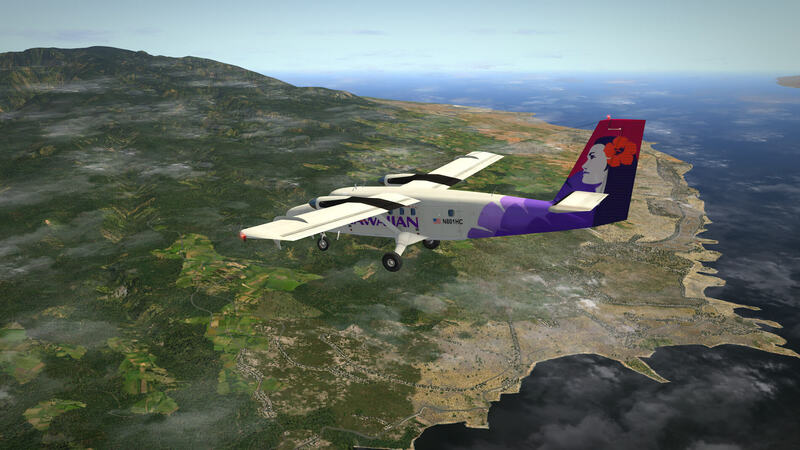 Anyway, since I started from Kauai, I did install the NAPS Lihue Airport PHLI, but since I’m ready for takeoff, I can only check the airport from the air. By the way, you can download this freeware NAPS airport by using this link. 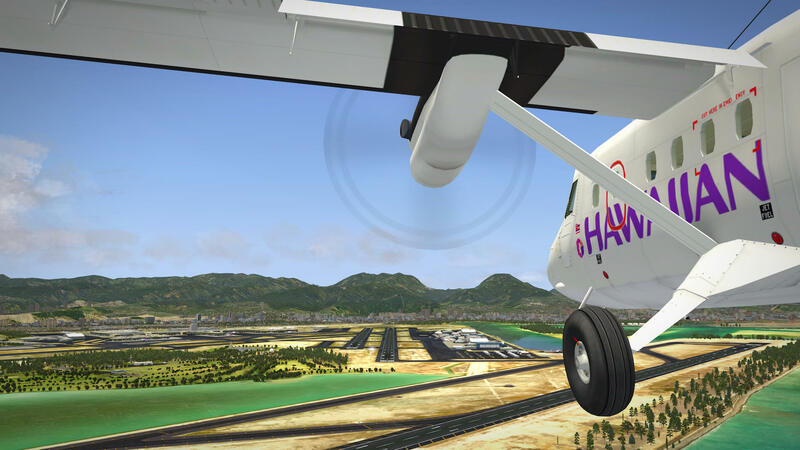 While approaching Honolulu International airport, I have complete freedom to check the airport from the sky and then do a quick check on the ground. A quick check because I’ve previously written a comprehensive review of this airport. 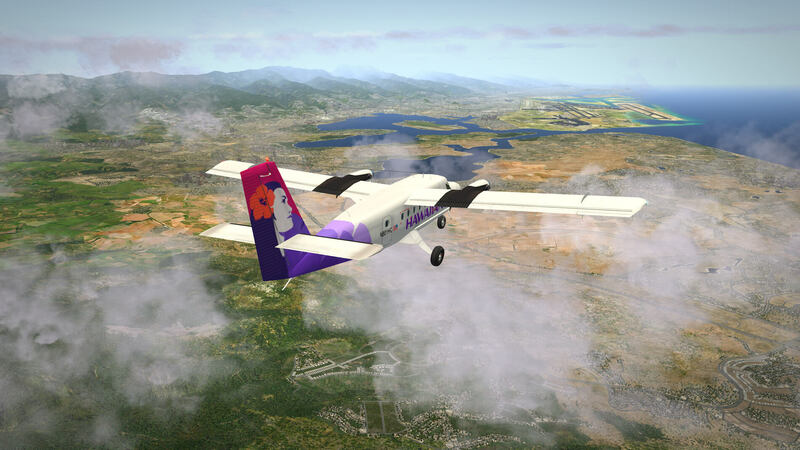 After a short Honolulu stop, I continue my island hopping via MolokaI with Lanai on my right, to the airport of Kahului (PHOG), situated on Maui. There’s enough to see at this airport and together with a free ride they offer me, I can see every corner of this NAPS airport. 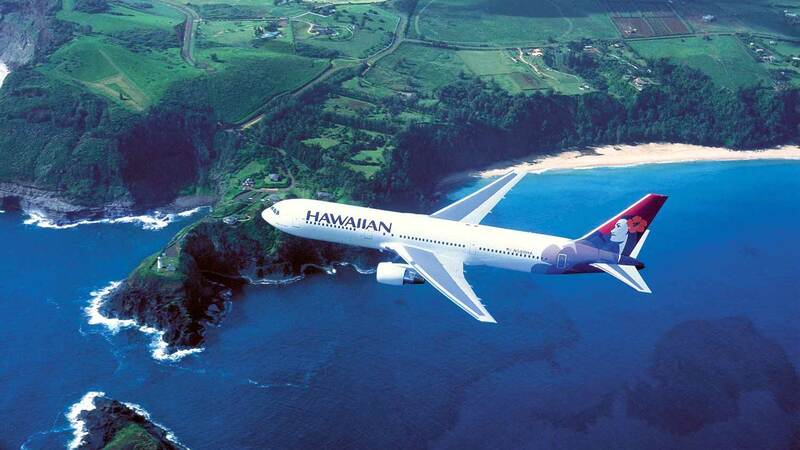 This ground inspection will be followed by a lunch and then, off to Hana airport (PHHN). Hana is situated on the northeast side of Maui. It’s much smaller and doesn’t offer too many facilities compared to the other three airports,. 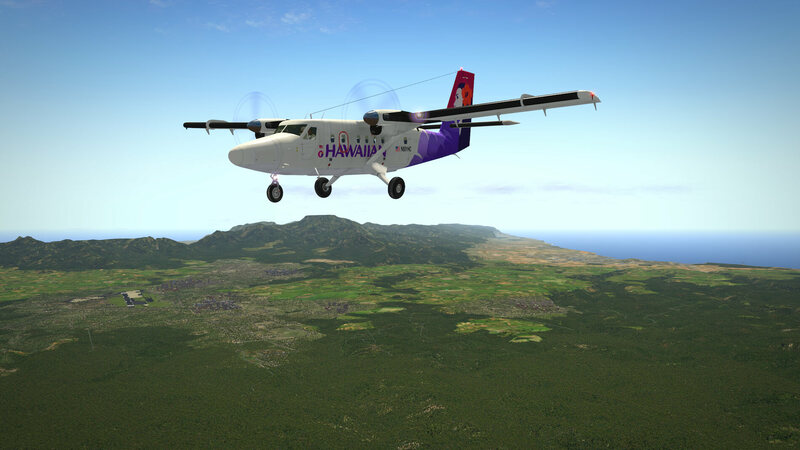 From there, we fly to my final destination, the airport of Hilo (PHTO) on the Island of Hawaii. Hilo is situated on the east side of the island which is also the largest island of the Hawaiian group. Dominating the island are Mauna Kea and Mauna Loa, which makes it worth making a sightseeing tour! Because of that, I’ve chosen to fly a small commuter aircraft that’s easy to handle and also being freeware. All right, let’s get started. Here’s the flight plan. The flight plan (see below) could look like this, with some island sight seeing added to it: PHLI – PHNL – HN (242) – ZEGPI – YORKI – MUGGE – GRITL – MKK (116.10) – YUNUB – PHOG – PHHN – UPP (112.30) – MUE (113.30) – BSF (339) – POA (332) – PHTO. As you can see, I’ve added some NDB, VOR/VORTAC and fixes to the plan. Unfortunately, the DHC6-300 uses the default Garmin GNS 430 which can hold only one waypoint at a time. The result? Loading an “fms” flight plan doesn’t work. But you can enter other waypoints in the GNS 430 similar to those mentioned above. 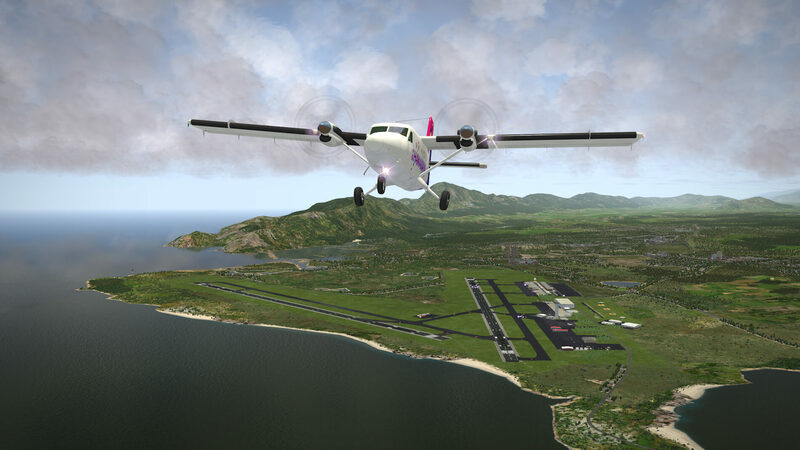 On the other hand, flying from one island to the other can also be done under VFR rules. I’m ready. How about you? 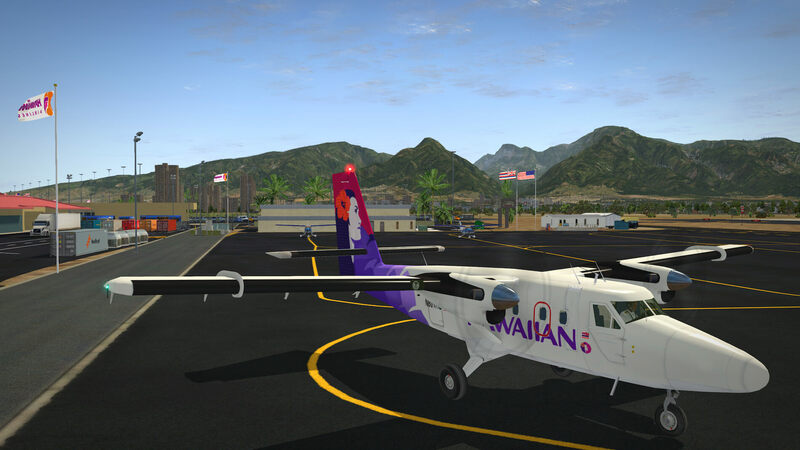 I’m parked at the PHLI (Lihue Airport) commuter terminal apron which is next to the cargo terminal. I’m cleared for a takeoff from runway 03 and while taxiing to the runway, I’ve got enough time to check the NAPS PHLI buildings. It seems to me that this airport doesn’t have ortho photo material for the ground textures. While heading to taxiway A via H, adjacent to the control tower and beyond to holding point M, I have a great view of the cargo terminal and the airline terminal. The terminal has seven jet-ways of which four are occupied by static aircraft objects, which are a mix between American Airlines, Delta and Hawaiian Airlines. From taxiway A, I have a good view of the terminal building itself. It’s not a handmade building as is the case with Honolulu and Hilo. It looks as if this terminal is one of the default object files. Nevertheless, it looks very nice and together with all the other objects, it gives me a good impression. Other objects? There are too many to mention them all, but I’ll mention a few. From this distance I can spot trucks, baggage belts, baggage carts, fuel trucks, push-back trucks, stairs, follow me cars, catering trucks and much more. The apron lighting seems OK to me as well as the radar unit mounted on the far end of the airline terminal. I’ve reached my holding point M and I’ve got approval to make a rolling takeoff. 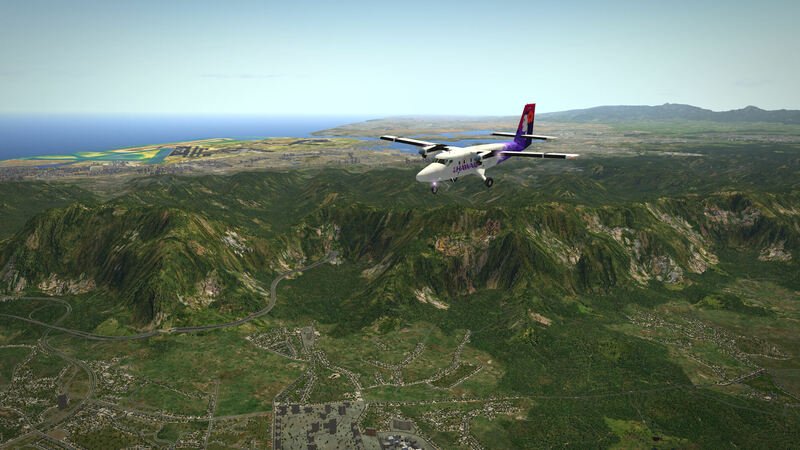 After takeoff, my intention is to fly a more or less straight line to Honolulu International Airport (PHNL) with an intended landing on runway 04R. But I need some kind of navigation to point me to the right direction. From Lihue airport it’s around 70NM to the most western part of Oahu and you can’t see much of Oahu when airborne, even if I climb to 8,000 feet. I tune for fix “KAENA”, but if you try to fly the same intended route, you could also tune for fix “OUCHI”. 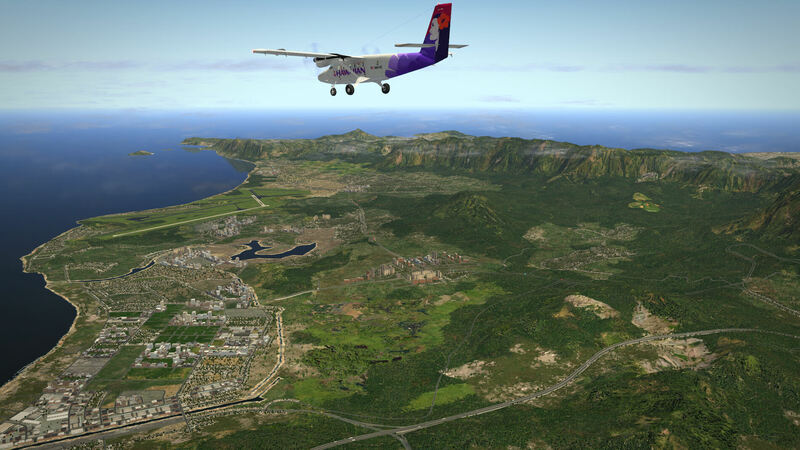 While climbing out of Lihue, I’ll have a look behind me to check out Kauai. Not only this island, but all the other islands are covered by alpilotx.net HD Mesh Scenery version 2.0. Together with the right external lighting conditions, it’s really nice to see, but remember, HD Mesh Scenery isn’t a photo real scenery package. Since I’ve already reviewed the AeroPedro Twin-Otter there’s no need to get into much detail about it once more. However, it’s worth highlighting that it’s an easy and uncomplicated aircraft to fly by hand just using the aircraft trim. If you don’t want to fly this way, you can always use the basic Auto Pilot that comes with the aircraft. 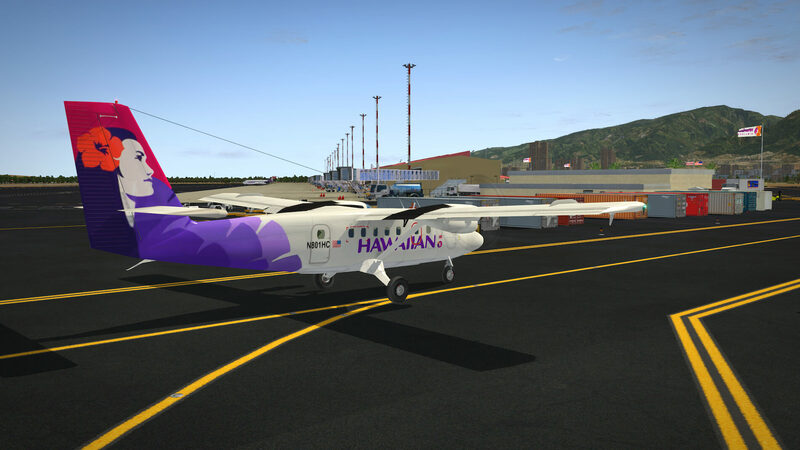 Also important, the Twin-Otter flies in Hawaiian Airlines livery, thanks to AFNavarro and the NML (Normal Mapping) files are included from Leen de Jager. Many thanks for this Antonio and Leen! All I can do during this first stretch is to sit back and relax. When I look outside the only thing I see is water, water and even more water everywhere. After a while, I can spot the western side of the island and Honolulu International airport. That’s partly because I’m still flying at 8,000 feet and also because of the way NAPS created Honolulu airport. 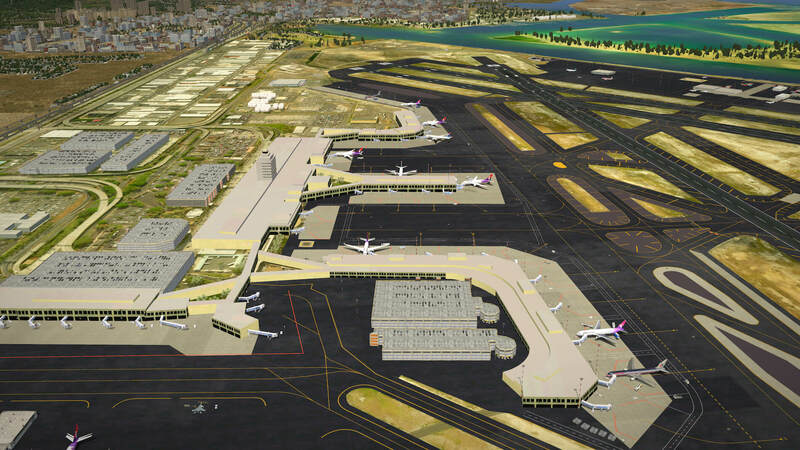 Perhaps you can remember from my Honolulu International Airport review/impression that the airport is very large, is a combination of civil and military sections, comes with a huge surrounding area made of ortho photo ground textures and also includes water textures. Although the blending with the default XP scenery is good, you can see the difference. Although I can see Honolulu, it’s going to take me at least 15 to 30 minutes before I over fly the airport. In the mean time I enjoy the modified landscape due to the integration of Andras Fabian’s HD Mesh Scenery package. I’ll aim for a flight over the West Loch Shoreline Park, which is not difficult to find and then pass the airport at an altitude of 3,000 feet. Since Honolulu is a busy airport, I need to have full control in what I’m doing. Normally, I can forget this, but not in this situation. Overflying the airport is impressive. Although I’ve written earlier about NAPS Honolulu, this top down view is really awesome. In my review/impression, I mainly discussed what’s modeled on the ground, but the view from 3,000 feet is something not to miss. This also explains the enormous size of the unpacked NAPS Honolulu package. The package comes with much ortho photo material also due to the overall size of the modeled airport. 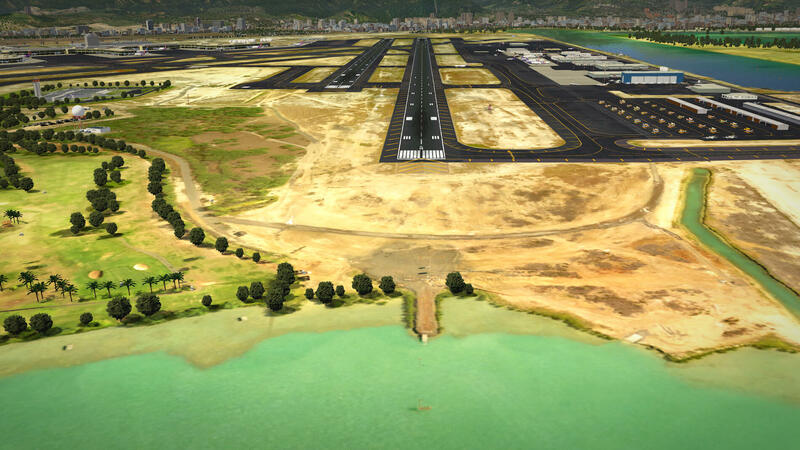 Before making a 90 degree turn towards the sea and flying parallel to runway 04R, I have a great look at Tantalus. Tantalus is the highest mountain on the island and is a part of the mountain rim that runs from one side of the island to the other. Slowly descending to 1,500 feet, I’ll pass over runway 26L/8R and have a great view of this section of the airport. Making the final turn with the DHC6-300 is easy and with flaps full down, throttles reduced, it’s not difficult to make a smooth landing. At the first available exit, I taxi towards the General Aviation apron, located next to my runway. Parked at the GA ramp in the midst all types of small aircraft, it’s not an easy job to find my way out. Since the GA ramp is located at the end of runway 4R and I need to make my takeoff from 22R, it’ll be a long taxi to the other end of the runway following taxiway C all the way to the beginning of the runway 22L and 22R. In the mean time, I enjoy the external modeling of the GA apron, the cargo apron with the parked static aircraft and the way the taxiway signs are placed in position. Imagine how big this airport is in real life and how complex it is to make a complete replica of it. When I’ve passed taxiway P, I need to wait before I can cross runway 26R/8L. After this, I’ve almost reached the end of or I could say the beginning of my runway. The takeoff from 22R is an easy one. Although this is the shortest runway Honolulu airport has, it’s still 7,000 feet long. That’s more than enough needed for a normal takeoff of my DHC6-300. I climb out to 3,000 feet, tune for waypoint ZEGPI and follow the indicated heading. 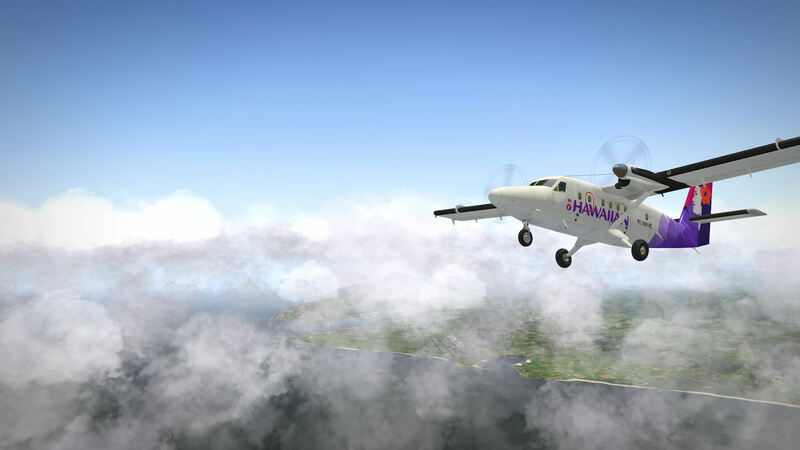 It’s a fact that the waypoints are nice to have but making a sight seeing tour around the western parts of the island could also be done under VFR conditions. The weather is perfect, with some clouds and because of that, I could also fly by following the coastline, keeping it on my right hand side. But now it’s time to climb to a higher altitude and I finally end up at 6,000 feet. Wherever I look, I still can see Honolulu International Airport. For some reason, it seems very big with all the surrounding textures included. With the communities of Mokuleia and Haleiwa below me, I decide to turn right to keep the mountains on my left hand side. This is a kind of short cut, but it will bring me on a heading to Kaaawa, situated on the east side coast of the island. From this point on we’re heading in a more or less straight-line south till I’ve reached the end of the island and then, on a heading of 130-140 degrees, towards Molokai and Maui. I should mention that I’m passing over the airport Kaneohe Bay MCAS (Marine Corps Air Station) at 6,000 feet. While flying south from Kailua to Waimanalo Beach, I decide to check out the effect of Andras Fabian alpilotx.net HD Mesh Scenery v2 package. It’s very easy to make identical screen shots of the same spot with and without the HD Mesh Scenery installed. It depends a little on the location and the way the default landscape is, but differences are visible. Remember, I mentioned before that the HD Mesh Scenery v2 isn’t an ortho photo scenery pack so the landscape won’t look different since no ortho photo material is included. Take a look at the photos below to see some of what I’ve seen. For clarity, I’ve marked the differences with circles. One shot represents the Honolulu area with lots of differences and the other is near the area I’m flying right now. 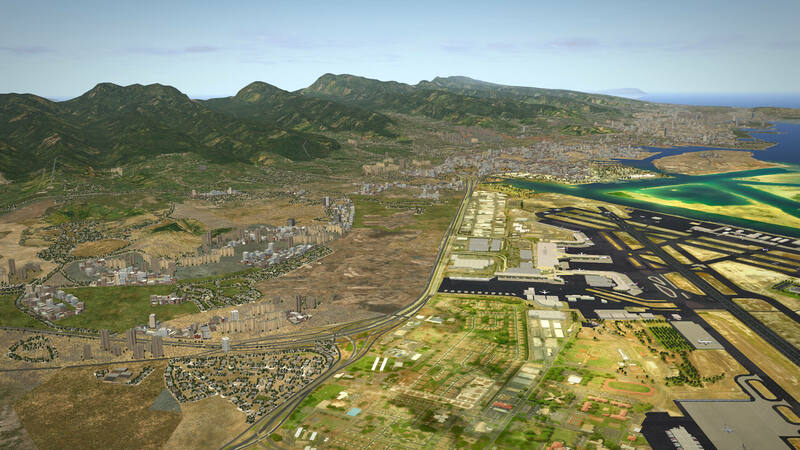 The first screen shot is Honolulu without Alpilotx, the 2nd screen shot is with Alpilotx installed. The same for the 3rd screen shot, this is without Alpilotx while the 4th screen shot is the same spot but with Alpilotx installed. Still at approximately 6,000 feet, I’ve just passed the beginning of the next island, Molokai, that lies between the one I just left and the one I’m heading for. The beginning of Molokai doesn’t look very interesting. It’s either a sandy ground or light red colored rocks. 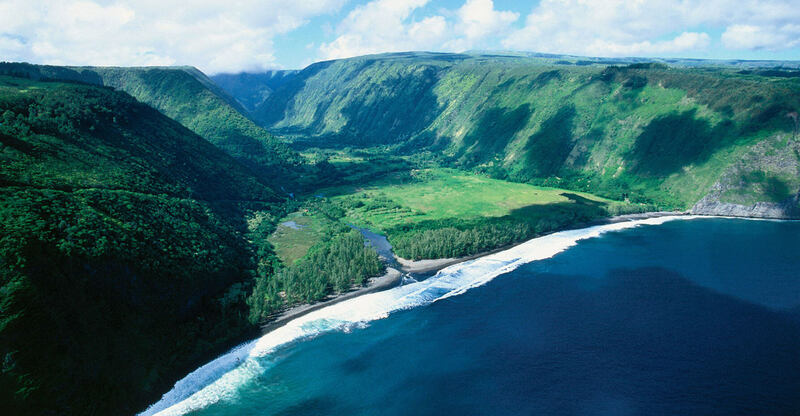 Whatever it is, ahead of me I can spot very clearly the small unincorporated community of Kalaupapa. In accordance with the Google Earth pictures, the overall ground textures are changing here. Since I’m quite relaxed and although I’m still flying the Twin-Otter just by trimming the pitch and roll, there’s enough time to make some nice pictures. And already, I can see Puu Kukui, the highest mountain peak on Maui, in front of me. Total flight time so far, including sight seeing, is approximately 1 hour 15 minutes to 1 hour 30 minutes. With a height of 5,787 feet or 1.764 meters , you can’t miss it, even from the distance I’m away from it. Just behind it lies Kahului and the airport. I’ve tuned for waypoint JINAS which is not really needed, but it gives me a little idea about the distance to go while flying towards the airport. I’ll descend to 3,000 feet, make a nice turn over the city and fly parallel to runway 02/20 towards the sea. With a 180 degree turn, I start my final approach and I’ll park my Twin-Otter at the Commuter area, which is just behind the passenger terminal. Once I’ve shutdown everything, it’s time to have a look at this NAPS airport. See you in part II of the Island Hopping. I really like the detail you go into and your enthusiasm is infectious. Please keep up the great work you are doing.